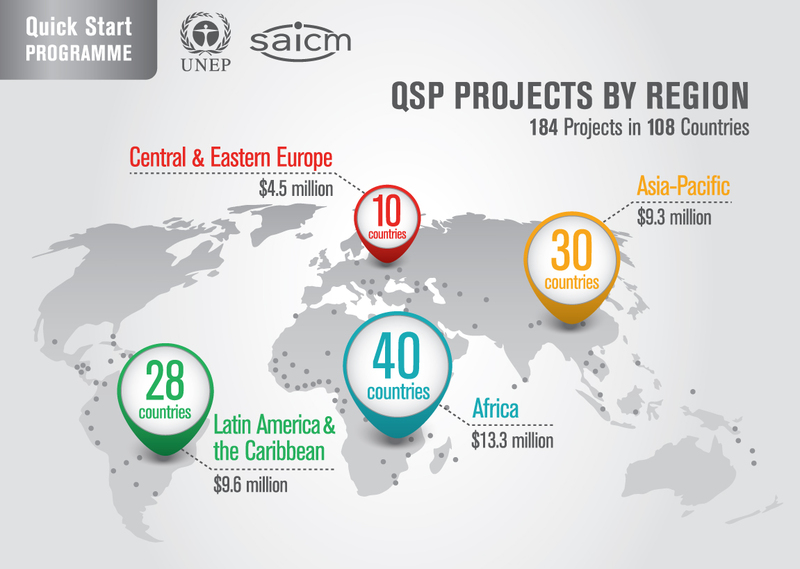 The QSP project portfolio comprises 184 approved projects with an approximate value of $37 million. Since its establishment, there have been 14 application rounds. The projects span 108 different countries including 54 least developed countries and small island developing States. This includes 40 countries in Africa, 30 countries in the Asia-Pacific, 28 countries in Latin America and the Caribbean and 10 countries in Central and Eastern Europe. 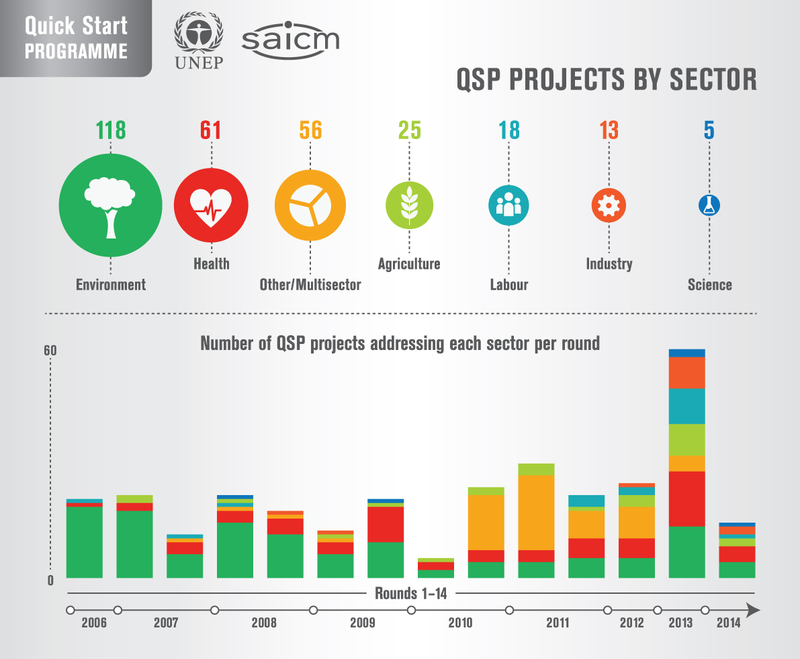 Projects have been multi-stakeholder and multi-sectoral and addressed all three QSP strategic priorities. 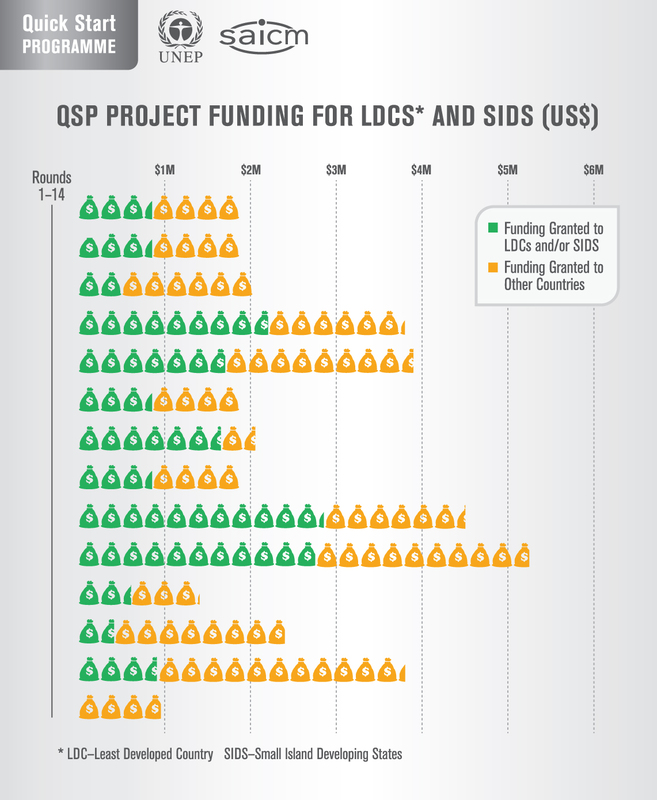 An independent evaluation of the QSP was completed in September 2015 and concluded that the Programme had demonstrably met, and in many cases exceeded, its objective of establishing enabling environments for the sound management of chemicals at the national levels. 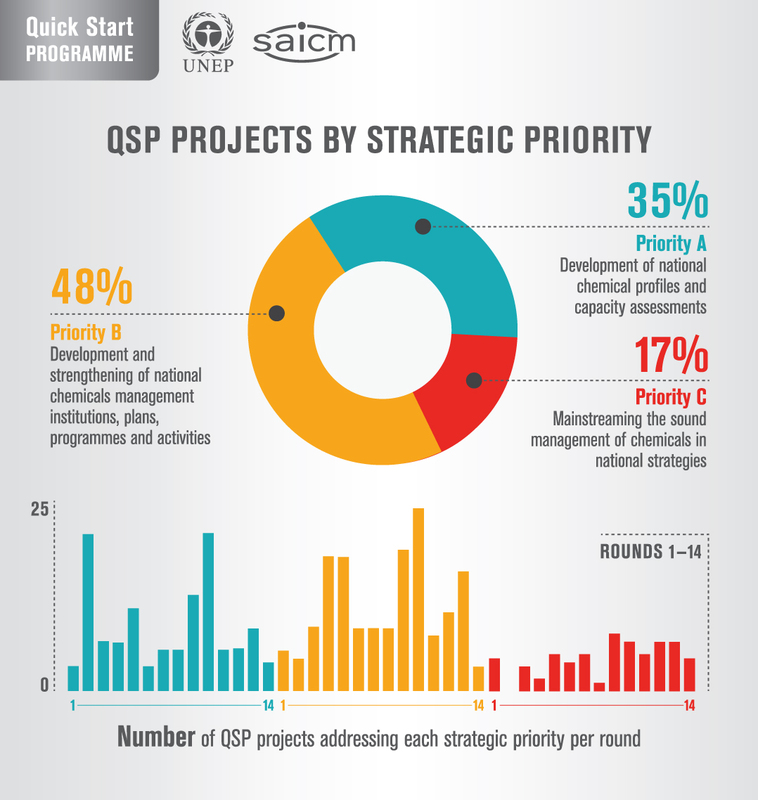 QSP projects have been successful in raising awareness and building institutional capacity for the sound management of chemicals at the national level, and projects have increasingly moved towards mainstreaming and multi-sectoral approaches in recent years.